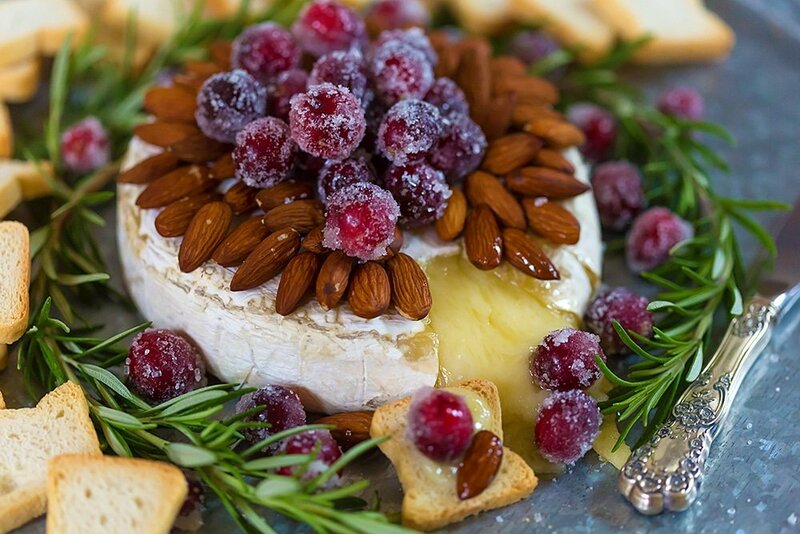 So first let’s chat about making the sparkling cranberries and then I’ll show you to pull it together to dress up the baked brie. The idea is to create a simple syrup to soak the cranberries in and allow them to get sticky so they can be rolled in sugar. So combine 1/2 cup granulated sugar with 1/2 cup water (or equal parts if you’re making a larger batch) in a small saucepan. Stir on medium heat until sugar is fully dissolved. Remove from heat and stir in cranberries. You can let them soak overnight for an extra sweet cranberry or at least an hour (they’ll just be slightly more tart) to be sure they’re ready. Scoop out cranberries and roll in remainder of granulated sugar. I add in 1/2 cup sanding sugar because the granules are larger and add extra sparkle! Now your cranberries are ready! 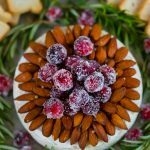 Sparkling cranberries are a wonderful way to dress up holiday desserts and appetizers from simple cakes and cupcakes to crostinis and of course, baked brie! Check out how they were used in this Red and White Santa Party! Now I serve my baked brie with little mini toasts or crostinis but you could add in pita chips, apple slices, crackers, or bread slices. 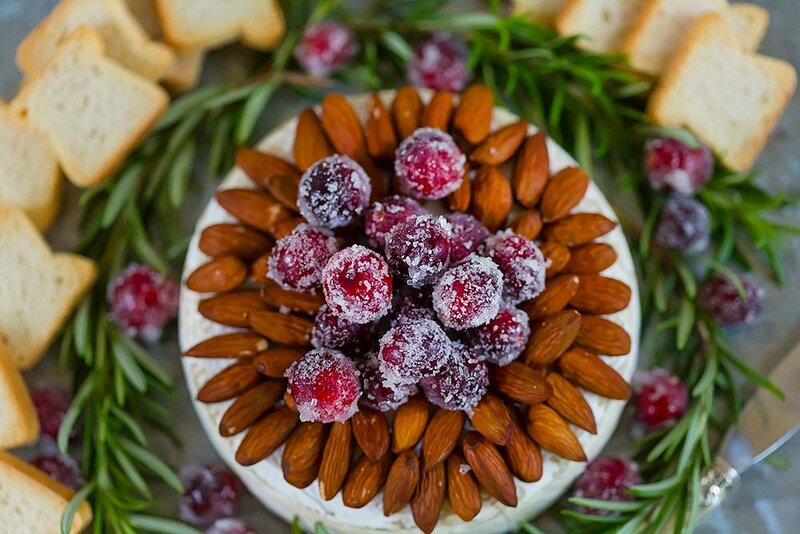 If you want your brie to have an extra festive touch, circle the brie wheel in rosemary after it is plated. To convert this into a passable appetizer, then top a crostini with a little square of brie, top with an almond, and bake until cheese is just melting. Remove from oven, top with a sugared cranberry or two and serve! Preheat oven to 350 degrees F. Place brie wheel on parchment paper on a baking sheet. Bake for 7-10 minutes. Remove from oven and top with almonds. Return to oven for 3-5 minutes. 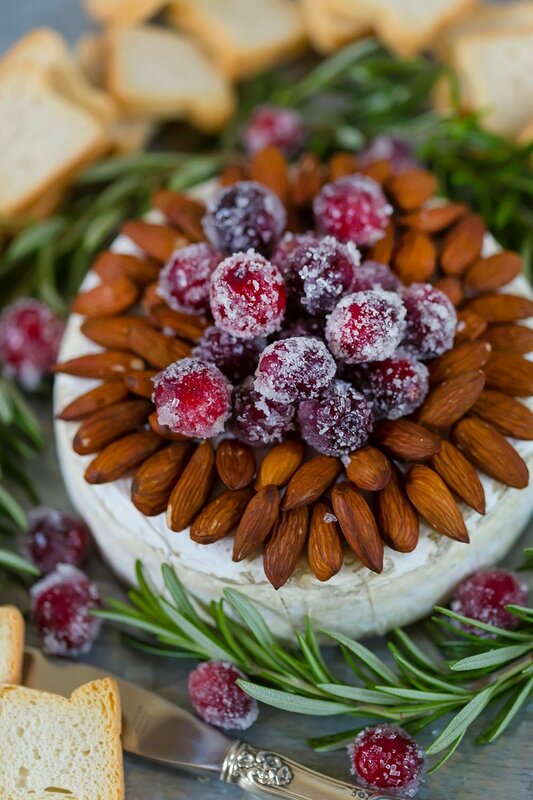 Top with sugared cranberries and serve with crackers, crostinis, apple slices, or bread rounds. If you want to be sure you don’t miss a post from me, then sign up here to receive a weekly email with all the latest posts and surprise updates! 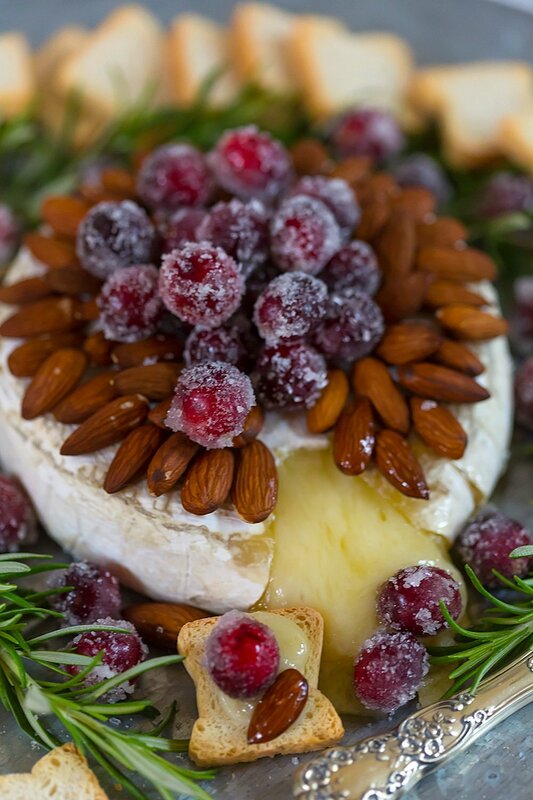 And for another delicious idea for baked brie, try my family’s fig jam recipe! 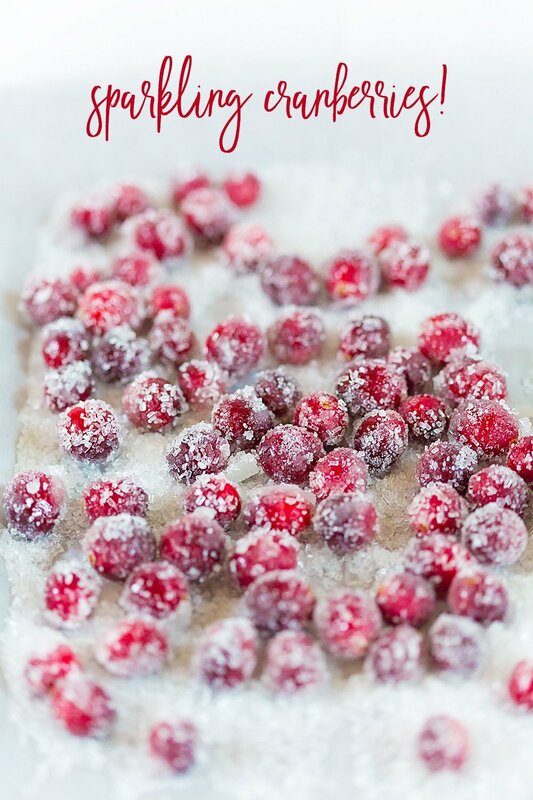 Just wondering how long you could store the leftover sugared cranberries? Or did you just use the entire recipe on top of and beside the baked brie? I don’t believe I used the entire bag (some we just ate) but you could keep sugared cranberries in the refrigerator for at least a few days! Or don’t sugar all of them (depending on your brie wheel size) and use remainder for cocktails, or atop little crostinis for another appetizer idea, etc!